Are you using all the different types of online personalisation? 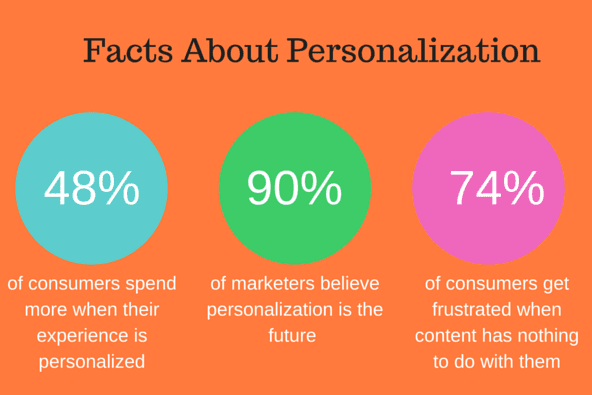 Personalization is either 'freaking people out' or enchanting them. It’s scary for people who believe that it may freak out their website’s visitors. But it’s blissful for those who believe that it will provide an incredible experience for them and the facts about consumer preferences support this too. Even if you’re scared of personalization, or you love it, more than 70% of consumers get frustrated when website content has nothing to do with them. Instead of waiting until Amazon tries something new and test it on their website, you can be more aware of your capabilities right now. To understand what personalization is all about, I’m going to share with you what types of personalization are available now on the market and how they can achieve the awesome benefits that you expect. Let’s start! This type of personalization is also known as “You might also like.” Amazon first introduced the recommendations engines to increase their conversion rate and average order value. A few years later, e-commerce companies started to install these engines on their sites. This type of personalization is based on collaborative filtering, on what other have seen or bought. According to a study by Marketing Sherpa earlier in 2015, this type of recommendation generates the greatest revenue. They give a sense of being part of a crowd of the users. 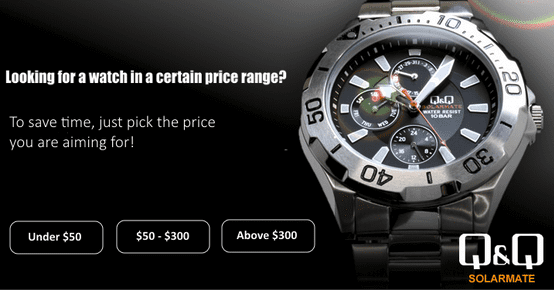 They encourage users to view more products. They are engaging and catchy. It’s a little overused by e-commerce stores and it also generates less revenue than other approaches (according to the Marketing Sherpa’s report). The reason it doesn’t work so well as the “Visitors who viewed this product also viewed” is that is isn’t too engaging and, most probably, it’s used wrong when there is no intention to purchase yet. Starting the journey with a survey/ quiz. The visitor’s journey starts with a few questions about his preferences and then they will see pages with products according to their answers. They show in real-time what’s happening inside their community of fans. It’s the social proof taken to the highest level. They also welcome their “non-members” with a sort of survey that leads to a personalized experience on their site afterwards. 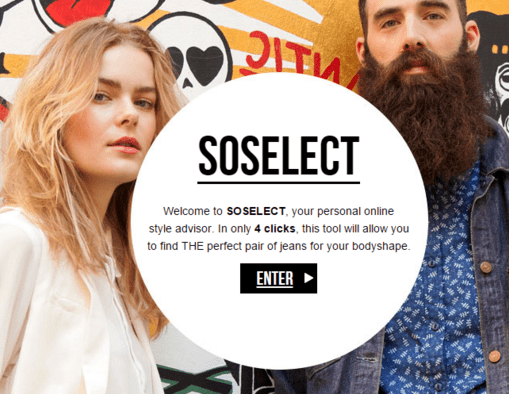 SoJeans created SoSelect to help their visitors find on their website the relevant products. 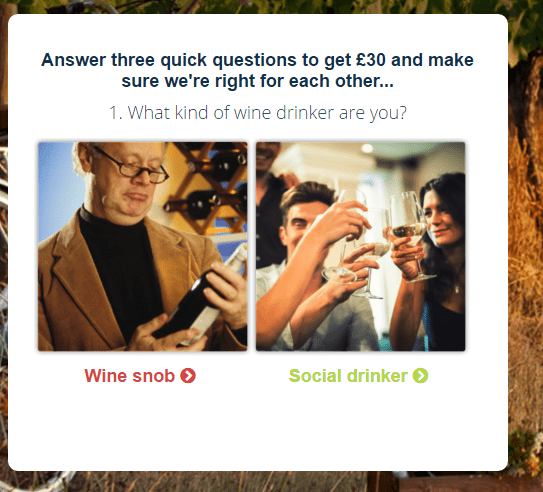 So, they’re starting a questionnaire/quiz/survey disguised in a “personal online advisor”. Another criteria that people use when they browse on a website is the size. Modlet uses size filters across their websites to show only the relevant products to their visitors. 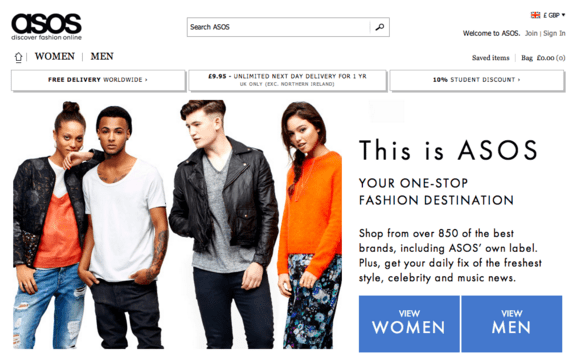 ASOS usually shows a pop-up that contains the two main categories of products to their visitors. Finally, recommendation engines alone can do more harm to cross-sales if you don’t measure their performance. It’s the most basic personalization type, more likely to generate a competitive advantage in the 2000s rather than in the present. Your website is highly contextual. 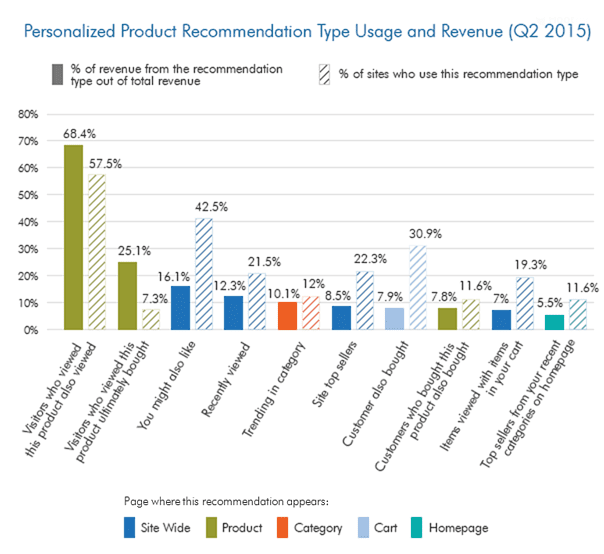 The “Customers also bought” recommendations showed to the new visitors on the product page may hurt conversion rates. Visitors who haven’t shown yet the intention to purchase are not engaged with your brand, products and site. So they are not interested in what others have bought. Some marketers use a type of personalization that involves building a customer persona and then targeting only that group in a single marketing campaign. It’s cool, but also pretty old and ineffective for companies who aim to be in the top. Segmentation alone is static and cannot provide hope for achieving the consumers’ unpredictable and always changing preferences and behavior. But when segmentation stays at the basis of triggering messages across the ads, site, and emails, then it will fuel the personalization machine. If you stop at creating a static loyalty based program you’ll lose the potential customers that start visiting your website often and purhcase from you. Without treating them right based on their “achievements”, they’ll start looking for a more likeable brand somewhere else. To make sure that you have a loyalty program that adjusts by itself, letting people opt in and out, you first need to segment your customer database using the RFM Model (Recency, Frecquency, Monetary) and then install a personalization solution on your website. It’s also known as “Real-Time” personalization and the most innovative way of personalization. It’s technology based and offers an incredible experience for every visitor, every time. It’s like a predictive machine capable of showing personalized messages across devices and omnichannel. Progressive personalization can use two types of data to automate all the personalization workflows and let people opt it and out: real-time data and historical data. It’s collected from real visitors on your website in real time through cookies and other variables and parameters. It also involves logic rules that match the visitors’ data to the segmentation made by you before the visit happens. The most simple example is showing a personalized message through a pop-up to a visitors coming from a specific location. So, if the visitor matches the setup location, let’s say London, he will be exposed to your pop-up. It’s the data from the customer data base recorded in the past. Unlike the real-time data, historical data belongs to your customers, not prospects. Also, while real-time data falls into segmentation, the historical data is the basis of the personalization. Finally, personalization is a combination of data science with data intelligence. Man’s intelligence combined with the right machines can make a progressive personalization system sustain itself. If you haven’t put in place this kind of system by now, start small, with simple personalization scenarios. On the long term, it will pay off. Thanks to Valentin Radu for sharing their advice and opinions in this post. Marketizator Founder, Valentin Radu, has more than 5 years experience in consulting e-commerce companies to grow their conversion rate and revenue. With an entrepreneurial and marketing technology background, Valentin is always able to provide effective ideas for people who want to convert their organization into a growth machine.